Former foster child, now a stay-at-home mom of three, Allison Darling desperately wants to fit in with the latte-drinking, hundred-dollar-yoga-pants-wearing moms who run her charming seaside town, Monrovia. Constantly feeling like an outsider, Allison dreams of more for her children. When Allison’s estranged mother passes away, her previously dormant special talents emerge. Soon she is reunited with the family that abandoned her and learns of their heartbreaking legacy. At the same time, the Glamour Girls, a soap-selling company run by the most popular women in Monrovia, recruits Allison to join them. They have a monopoly on everything in town, from bake sales to business deals. But once you’re a Glamour Girl, there’s no going back. Suddenly caught between the rag-tag, hippie relatives she once so desperately wanted and the rich, charismatic Glamour Girls, Allison is unsure where she fits in. Could she come to trust the strange outcast family that abandoned her, or really hang with the most powerful, glamorous women in town? For Allison, it’s like high school all over again, except this time, the mean girls have more than killer manicures, and the nobodies aren’t sulking in the band hall. They’re adults. They’ve got husbands, children, and livelihoods on the line. And they also happen to be witches. Allison’s decision to lend her powerful magical talents to either group will change Monrovia -- and Allison -- forever. Katie Schickel graduated from Georgetown University with a degree in English. 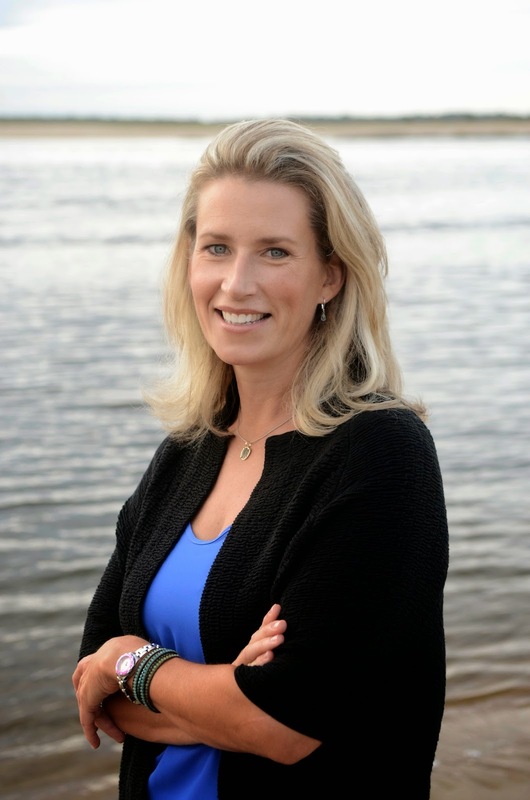 A former newspaper reporter, Schickel's writing career and passion for scuba diving have taken her to Pensacola and Key West, Florida, as well as throughout the Caribbean, Central America and the Pacific. She has been a freelancer for several scuba magazines, including Scuba Times Magazine and Outside Magazine. Schickel lives in Massachusetts where she spends her time writing and with family. When she’s not doing that, Schickel also surfs the chilly waters of New England, even in the winter. Housewitch is her first novel. Visit www.katieschickel.com. I am so excited to read this book! Stay tuned for my upcoming review of Housewitch! 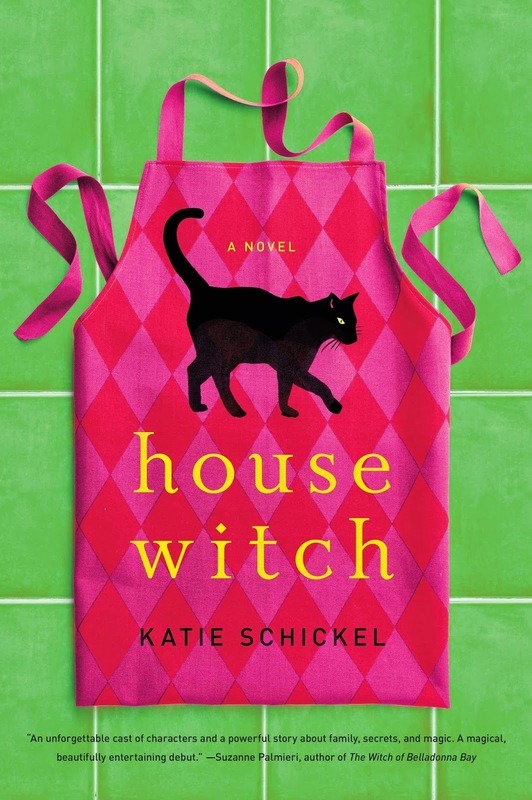 Three (3) lucky winners will each receive a print copy of Housewitch, by Katie Schickel. This giveaway is open to residents of the U.S. and Canada and ends at 11:59 PM EST on Tuesday, March 24, 2015. Enter through the Rafflecopter form below. Disclosure: I will receive a complimentary copy of this book to facilitate my honest review. All opinions are my own. This post contains my Amazon affiliate link. If I were a witch, I would cast a healing spell over all those in physical or mental pain. I would like to be able to disappear. This looks a interesting story with a very unusual dilema. I'd love to cast a spell to change the seasons... I'm a huge lover of fall. hmm... tons of spells... at the moment, a spell to clean my house because that would be awesome. or one to fix my car. A spell to make my college debt disappear! Hmm.. I would want to cast a spell for my son. To help him learn to control his ADHD and have more peace within himself. I would cast a spell that would pay off my house, so I wouldn't have any more payments to make. Aside from cursing any enemies, hahaha!!! I'd snap my fingers to redecorate my house. Clean my house.... cook 5 star food. A fit body. Who can pick just one??? I would cast a spell to make my husband all better. Some sort of money spell to pay off mine and my families debts. I would probably cast a spell to make it possible for me to make money at a job I don't hate. Worrying about money is the worst! I would probably cast a confidence spell. I'd cast a spell to make everyone kind... to people, to animals, to everything! Hmmmm... I'd remove all calories from all foods. I would cast a spell for my family to have good health. I would travel back in time and change a few things. I would cast a spell to end addictions. I'd cast a spell an empathy spell on everyone for everyone. I'd balance out the weather and get some rain here! I would cast a spell to clean the house! I'd cast a spell so that no one would ever have to sit in traffic again! I would like to cast a spell to keep the grass cut. I would cast a spell to control the weather. I need a clean house spell. Like the old cartoons where the broom sweeps itself and the dishes wash themselves. I would be tall and skinny!